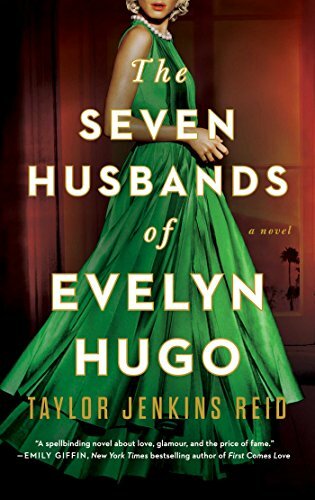 “The Seven Husbands of Evelyn Hugo: A Novel” is a sprawling tale which was written by Taylor Jenkins Reid, the acclaimed author of several popular works of women’s fiction. Its story line centers around the recruitment of a relatively obscure magazine reporter to write the biography of one of the film industry’s most glamorous and renowned actresses, who has become a true Hollywood icon. This reclusive star weaves an epic narrative that examines her meteoric rise to fame and fortune, and the devastating price that she has paid for her celebrity. The symbiotic relationship which develops between this dazzling actress and her unremarkable biographer is especially interesting and compelling. The overarching themes of this novel include ambition, risk-taking, friendship, romance, love, joy, betrayal, heartbreak, and redemption, to name a few. “The Seven Husbands of Evelyn Hugo: A Novel” is an exceedingly well-written, captivating, and enjoyable work of women’s fiction, which makes for an outstanding read, and which definitely merits a five-star rating, along with a very enthusiastic recommendation. My God, this woman can write! It’s all here: scandal, honesty, brutal words, delicate words. Sentences that take your breath away. Definitely not a beach read, but a book with great depth.